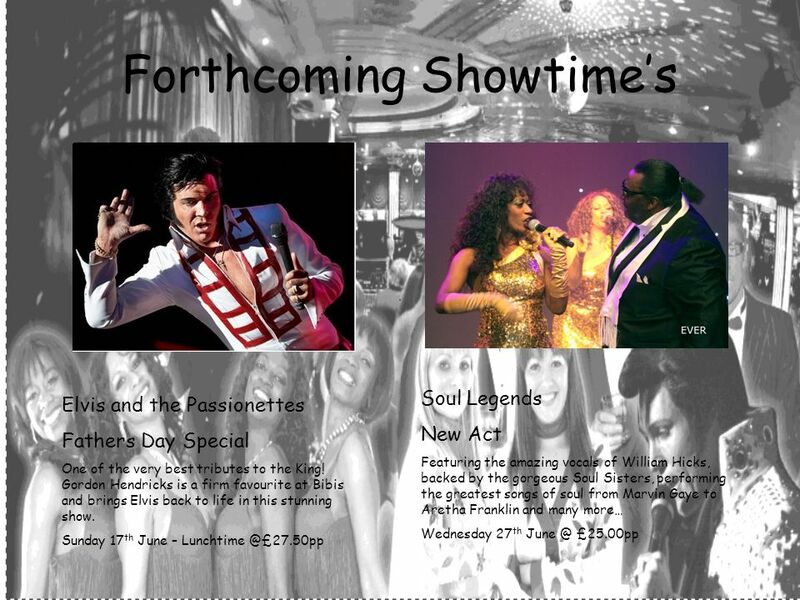 Forthcoming Showtimes Soul Survivors. An infectious performance covering hits from The Isley Brothers to The Ojays, Otis Reading to Marvin Gaye – Soul. 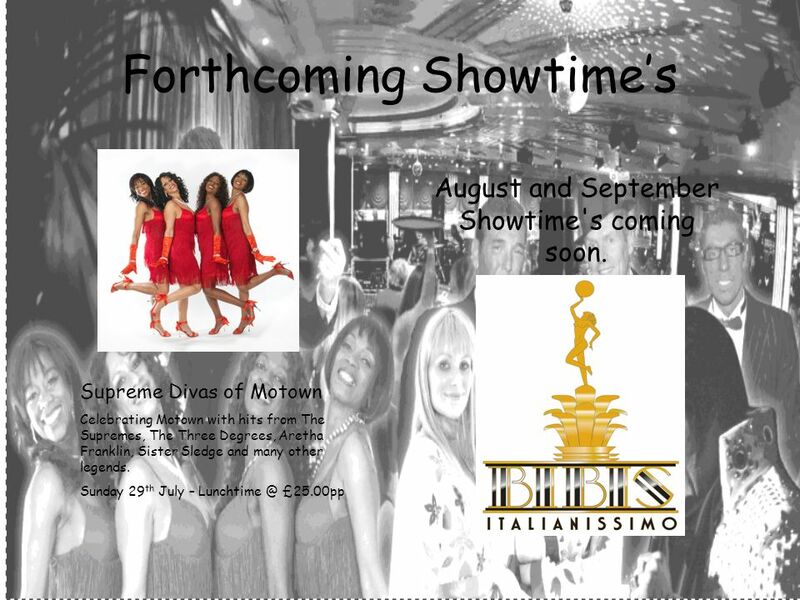 6 Forthcoming Showtimes Supreme Divas of Motown Celebrating Motown with hits from The Supremes, The Three Degrees, Aretha Franklin, Sister Sledge and many other legends. 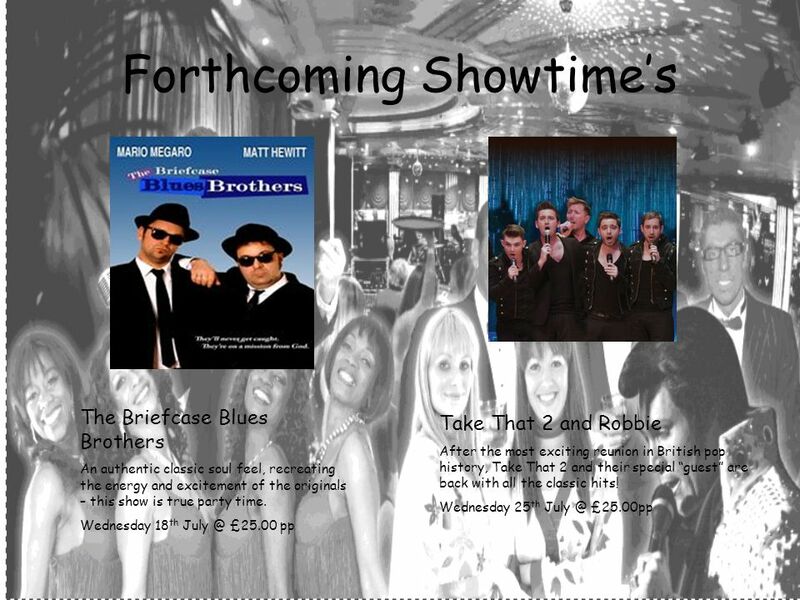 Sunday 29 th July – Lunchtime @ £25.00pp August and September Showtime's coming soon. 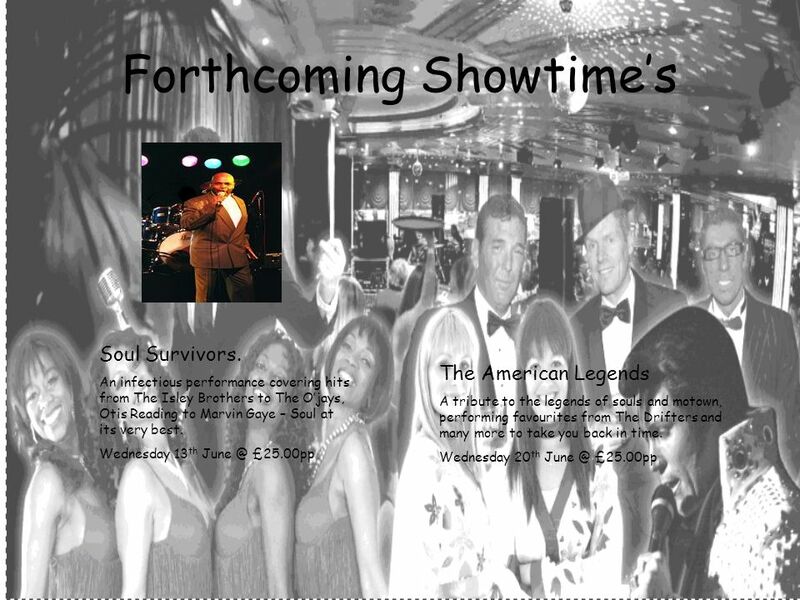 Download ppt "Forthcoming Showtimes Soul Survivors. 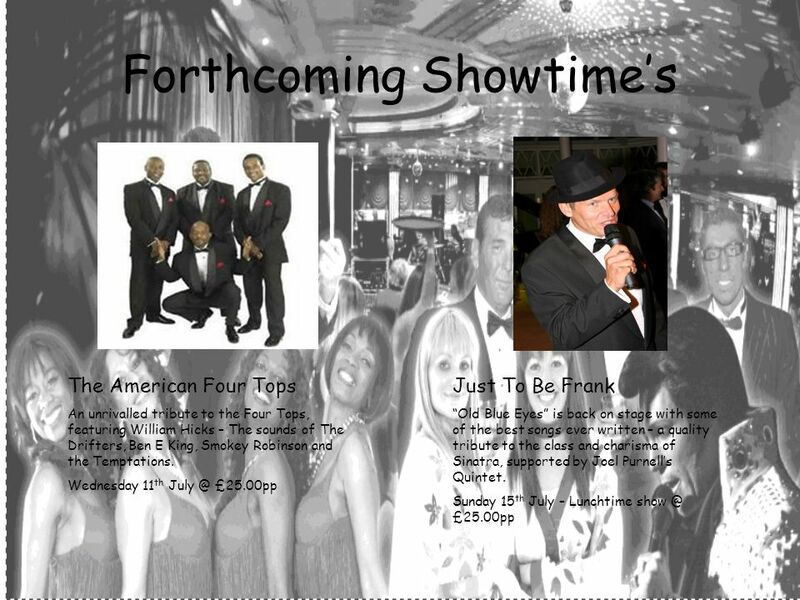 An infectious performance covering hits from The Isley Brothers to The Ojays, Otis Reading to Marvin Gaye – Soul." Elvis Presley is the best selling solo artist In U.S. History Elvis charted more songs on Billboard's Hot 100 than any other artist. (149) Elvis spent. 1 In September Felix hit the Caribbean, what was Felix? 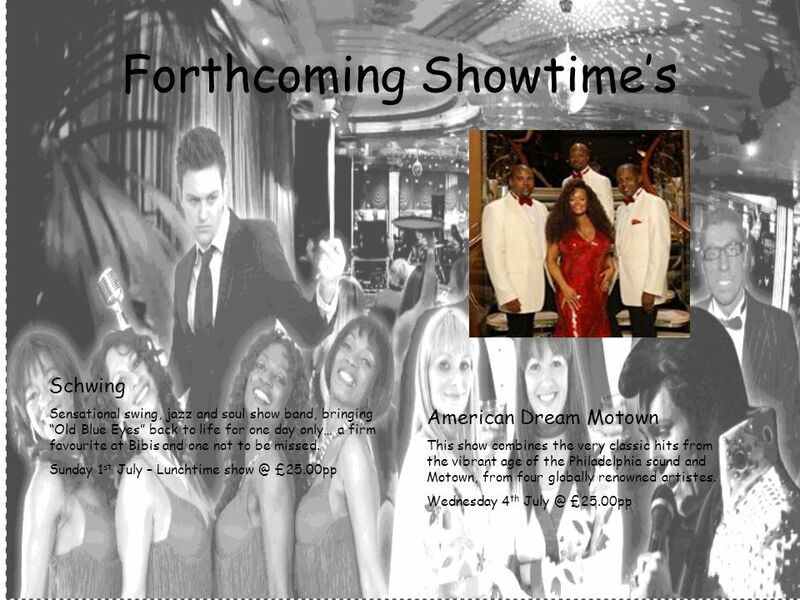 MONDAY TUESDAY WEDNES THURSDAY FRIDAY SATURDAY SUNDAY APRIL 2013 SPRING.